Dee has been teaching fitness since 1998 and started her Pilates career in 2001. She comes from a Dance background attending the Brit School at the age of 16 and then the Brian Rogers Performers College. Leaving college due to the spine condition scoliosis and whiplash, from a car accident, she became desperate to look for ways to relieve the constant pain. Whilst trying to stay fit and strong by teaching Aerobics and Dance she was introduced to Mat and Reformer Pilates and never looked back. Dee has trained with top world renowned Pilates trainers and travels to Europe and the USA to update her knowledge and training on a regular basis. Dee opened The Body Suite in 2007, offering Equipment based classes and Private sessions and a timetable of Classical Pilates on the Mat. Having posture related pain and injury herself this enables Dee to empathise and understand what is required to guide someone in the right direction and provide them with the individual programme they require. Passing on the education to clients on how they can help themselves, alleviate pain, improve shape and posture and look after their well being through exercise rounds up Dee's dedication to her work. The Bodeswell Academy is Dee's most recent adventure with her partner Rafael Gomes, with their Pilates Teacher Training programmes. Rafael comes from a long history of sports from football to athletics, kick boxing, swimming and surfing. He has played football at professional and semi professional level, leading him to become a coach, working with professional football teams in Portugal and the UK. Following his array of Fitness Teacher training programmes, he worked teaching many fitness classes and working as a Life Guard in Wales and on the shores at Porto in Portugal. Branching from his extensive fitness knowledge and teaching skills, he then trained with Uno Pilates Method in Portugal in their Authentic Pilates Programme, from the Romana strand. Shortly after training Rafael opened his own Pilates studio and worked in a rehabilitation clinic on clients with injuries, some serious, and those going into or recovering from operations. Rafael's arrival in the UK in 2016 began with a blossoming position at The Body Suite with a very large portfolio of clients and his leadership in staff training. He is head teacher at The Bodeswell Academy for the Pilates Teacher Training programmes. Elizabeth originates from a Ballet and Contemporary dance background. She trained with the Pilates Foundation and moved to the area 5 years ago from teaching in London at the Wimbledon Lawn Tennis Club. She also works as a choreographer for professional dance companies in London in many dance styles. Elizabeth teaches Mindful Pilates on the Mat and Private Classes here at The Body Suite. Elizabeth also is here teaching private sessions on a Thursday afternoon and a Saturday. If you would like to book a private session with Elizabeth please contact the studio. Nadine's previous career as a professional Ballet dancer lead her to finding her career in Pilates. She is a strong member of The Body Suite team. As well as teaching private classes and group sessions, Nadine looks after members and running the studio as the studio host. Ruth has been teaching Mat Classes at the The Body Suite for 5 years. She works with the Classical Mat and incorporates her work with additional small props such as the Magic Circle, Balls and stretch bands. Ruth is currently available for Private Mat sessions and her regular class runs every Wednesday at 1.10pm. Gina comes from a professional dance background, having been vocationally trained at Elmhurst Ballet School and The Urdang Academy. She has now turned her focus to Dance Fitness and Pilates, setting up her own company 'Precision Poise' in 2018. Gina is passionate about making dance enjoyable and accessible to all. Gina is available for private dance lessons at The Body Suite. With a BA in the Arts &background in Dance, Bernice was attracted to Yoga after experiencing injury & stress through a period of rigorous training schedules. Captivated by the evolutionary healing process of Yoga it took president over dance. Bernice has been guiding a Yoga practice since 2004 and is part of IYN with 200hr and 500hr advanced training. Bernice is described by her guru as teaching a soulful style of Vinyasa Yoga, creatively and mindfully weaving physical postures onto a powerful thread of breath. With natural empathy, Bernice brings each individual into their fullest expression of free body, mind and spirit. 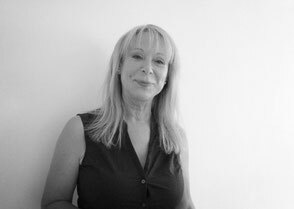 Bernice has worked with corporate and educational clients, abroad on retreat and in the U.K.
Complimentary Therapies include Thai Massage, Meditation and Breath Therapy. Her Classes run on a Tuesday Evening at 6.15pm and a Thursday Morning at 7.30am, the perfect before and after work combination. Our in house Sports Therapy clinic is run by Katie Tabner. Katie has been working from the studio for a few years now. Her work has been extremely complimentary to the Pilates Studio working with massage and therapy helping many clients recover from injury and physically stressed areas of the body. If you would like to book in with Katie you can contact through her own website.